Maybe your honey has to work late, you weren’t able to land a babysitter on such a busy night, or you just can’t afford a fancy dinner or a romantic getaway for the night. No problem! 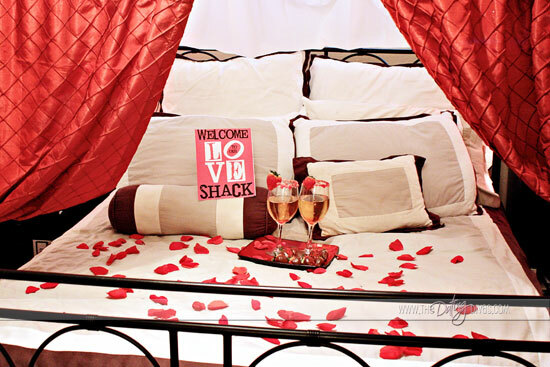 How about a nice escape into your own little Love Shack?! 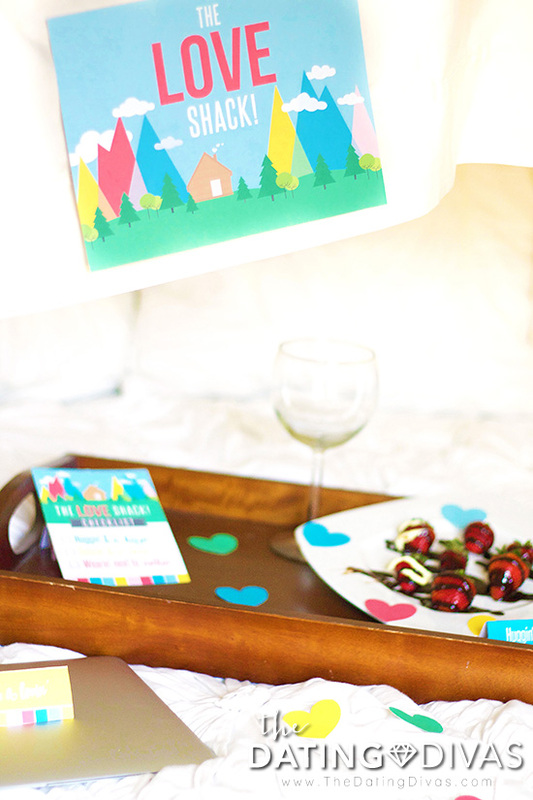 We’re about to share with you a fabulously romantic date night idea that you can pull together in no time at all. And the best part is—there’s no money or babysitter required! 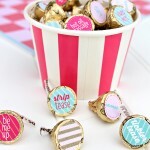 I honestly think these may be the cutest printables I’ve ever seen. 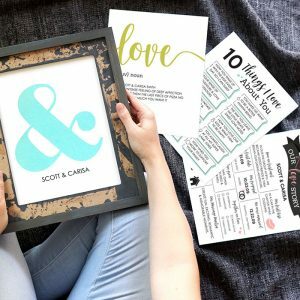 Carisa, from Messes to Memories, truly created the all-time best printables! They are fun, and really POP! Which is a great representation of this date! You’re about to have a super fun night! 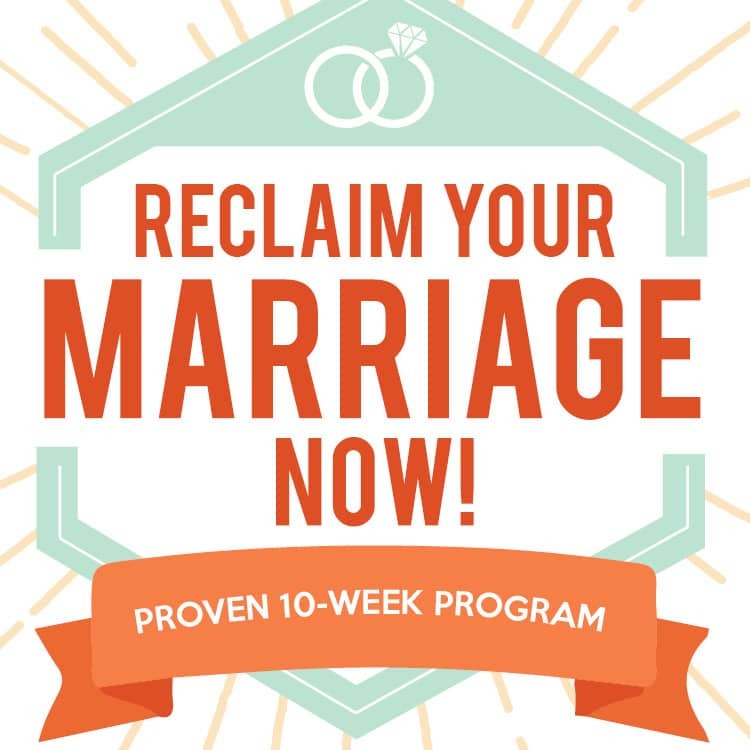 Start by setting up your own Love Shack! There are so many options here. I draped a sheet over our headboard and propped it up on the front end. 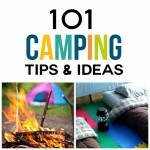 You could also grab all of your blankets and make an old-school fort with chairs and pillows on the ground. 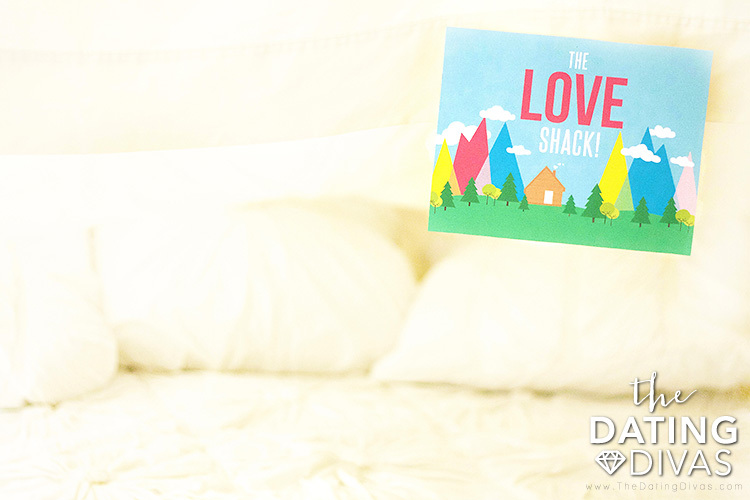 One of the Divas set up a camping tent in her backyard, which made for the perfect Love Shack! Let’s get this party started! 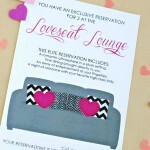 Print out the printables and set up the invitation. 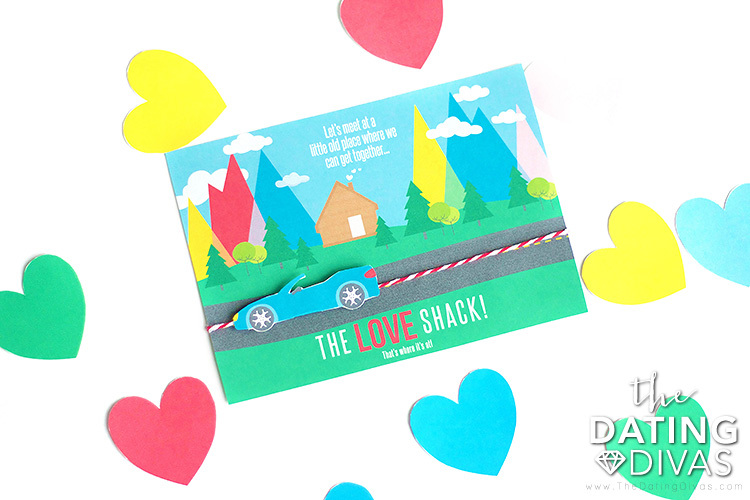 Cut out the car separately and attach it to a string that stretches across the road on the invite. Attaching the car to the string by folding the tab over the string, you’ll be able to move the car along the road like it is driving–cute, right?! 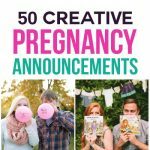 (Want to come back later to reread these tips for prepping the invite? Save this idea on Pinterest!) I left the invite hanging on the door from the garage, so right when my husband went to open the door he was surprised to find that he was in for a little fun! Next, prepare the path to lead to the love shack. 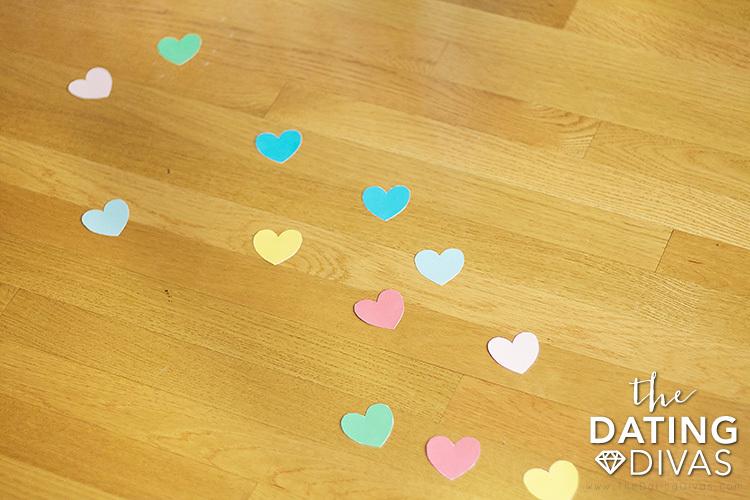 Cut out as many pages of the colored hearts as you need to lead the way from the entry of your home to the Love Shack! 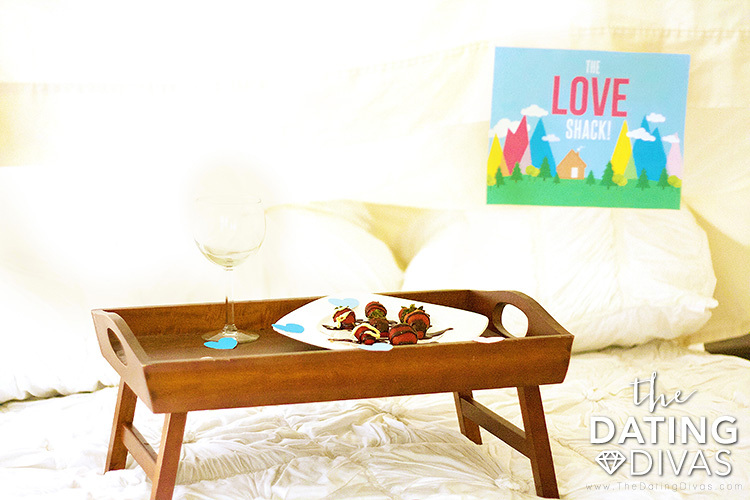 Whether your Love Shack is a tent in the backyard or living room or a fort built with a sheet over your bed, hang The Love Shack sign to let your sweetie know that they’ve arrived! The night will consist of a few different activities based on the Love Shack song and music video. Have this video ready, and The Checklist readily available. First, start off the night right with some kissin’ and a-huggin’. 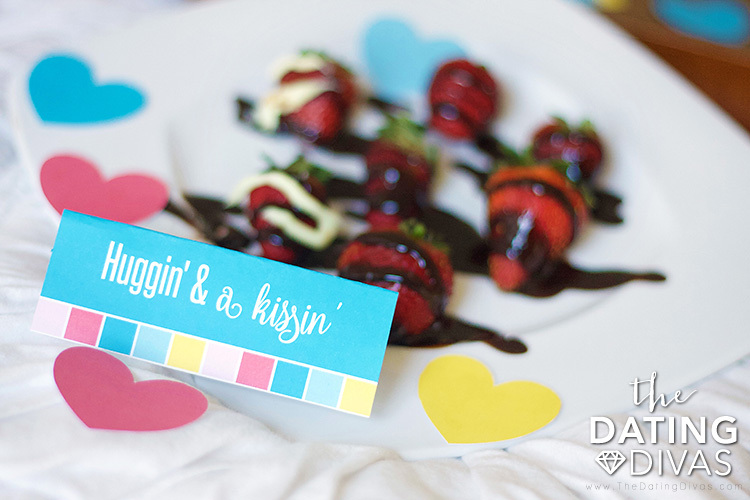 Dip some strawberries in Hershey’s Kisses and Hugs for a sweet, themed treat. Some real kissing and hugging would also do! Now, for the fun! Pull up the Love Shack music video and take turns trying to recreate the moves from this iconic video. The dance moves really start heating up around the 2:15 mark. 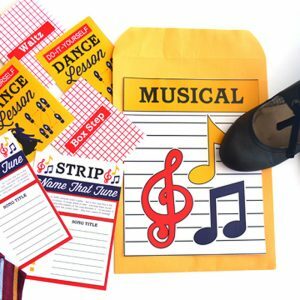 You’ll be dancin’ and a-lovin’ in no time!… and if you’re like us you’ll also be dying laughing! Now you’ve had some good treats, and enjoyed some great dance moves. Next, it’s time for the last item on our checklist… wearin’ next to nothin’. 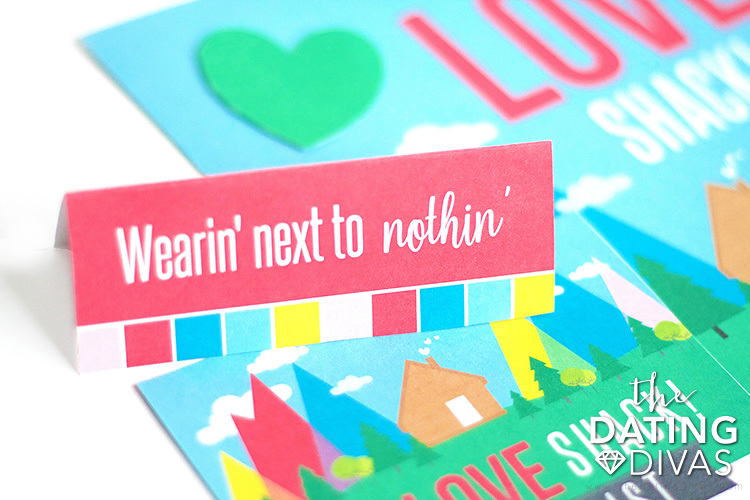 Have a little fun in your Love Shack while wearin’ next to nothin’! The original version of this idea was too cute not to include! The same idea, done a little differently! You KNOW it’s our FAVORITE holiday! So we hope you have some fun, romantic plans with your sweetie for the night. But if not, don’t worry! It is NOT too late! Totally romantic, right? And it’s SO easy to do! 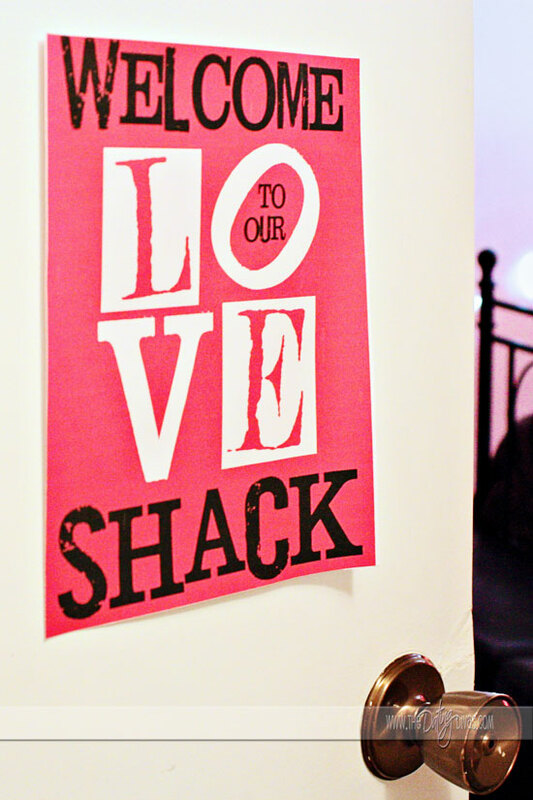 Just print off our “Love Shack” sign and stick it on the door. Then pull out whatever blankets, sheets, rope, or string you can find around the house, and get to work making your Love Shack! I loved building forts when I was a little kid, but it’s SO much better when you’re an adult. Instead of being limited to a couple of kitchen chairs and a small blanket, I can use anything I want! This “Love Shack” is just two long pieces of twine tacked to each wall of our room, and our dining room curtains draped on top of them. 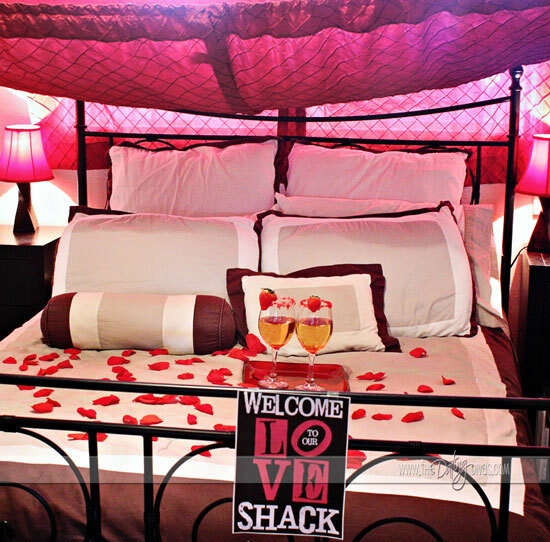 Once you have your Love Shack built, it’s time to add a little romance. 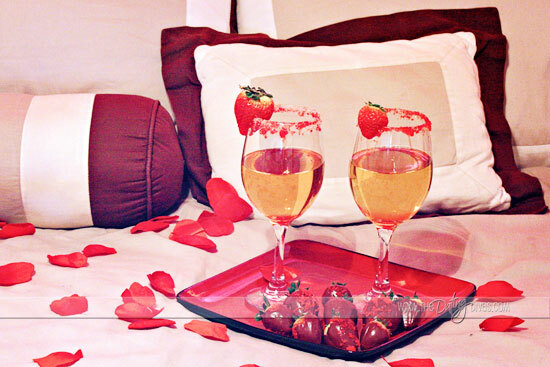 Do you have rose petals to sprinkle on the bed? Maybe some candles to place around the room? 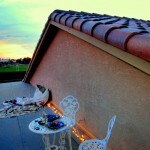 Heck – if you still have a string of lights out from Christmas – add them to your Love Shack. Then cue some romantic music and bring in two glasses of the fanciest drink in the house. Wanna know what we had to drink? It’s just apple juice—ha! We didn’t have anything “fancy” to drink, but with a little red food coloring, some sugar, and strawberries I made a garnish that made it feel decadent. It’s all in the presentation. Then I dug into the chocolate chip stash to make some chocolate dipped strawberries for us to snack on. So go raid your fridge and pantry and see what kind of treat you can come up with. 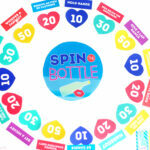 And if you’re looking for some games for two to play in your Love Shack, then you’re in luck! 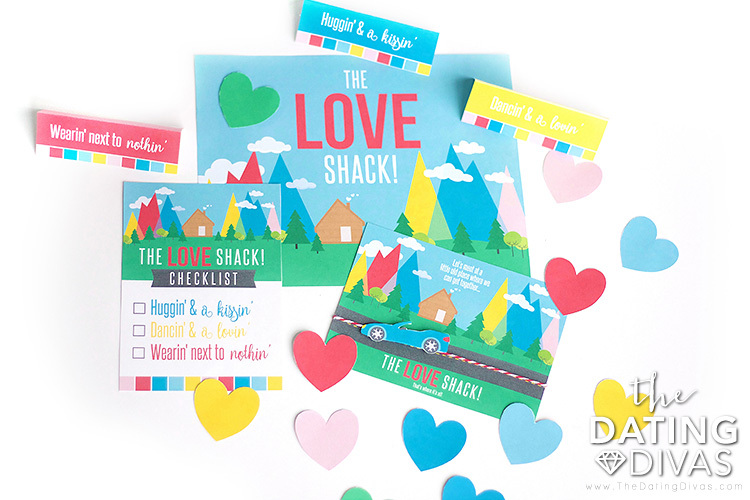 Or if you’d rather watch a movie in your Love Shack, may I recommend “The Vow .” Then you could use our printable cards to write down your own vows to each other. 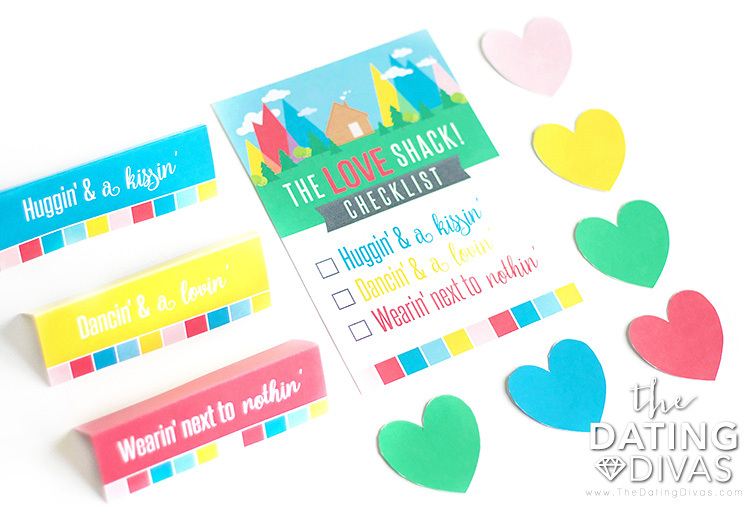 HINT: If things are crazy, busy today and you ‘re not sure if you’ll have time to build your Love Shack before your honey gets home, no worries! Just gather all of your fort-making supplies, pile them in a basket, and give your “Love Shack- Building Kit” to your spouse. Then, once the kiddos are in bed and date night has begun, the two of you can work on building it together. And make tonight a memorable one! Both versions of The Love Shack are available to be downloaded below! Looking for a last minute idea for the WHOLE FAMILY?! We've got an instant download for that too!!! 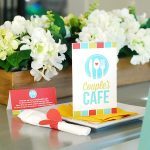 Go grab our printable Valentine's menu and crowns and serve up your dinner at Cupid's Crazy Cafe! I’m going to use this this week! My husband comes back from 3 weeks overseas and I’m surprising him with a hotel room in the city where I’m picking him up. 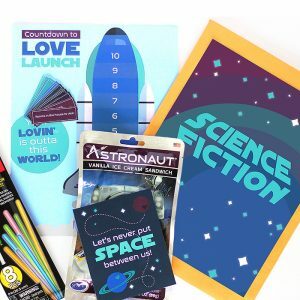 I’m going to decorate the room and play the connecting game! Thanks! I’m excited to get ready. I’ve had a lot of issues with my printer (it prints everything twice and won’t turn off) but with the connecting game it wouldn’t print the last page and each page skipped down two inches before printing so the bottom card was cut off. Since my printer is having a mind of it’s own these days, it might just be my printer, but thought I’d let you know in case others have the same problem. You’re so right! Have so much fun! Oops…Hubby loved it!!! Thank you for all the great ideas. Valentines is underrated!! 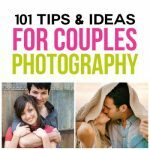 These are absolutely awesome last minute ideas for the busy couple! !